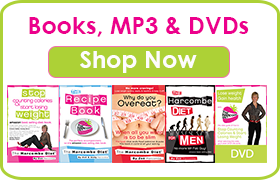 The Harcombe Diet® by Zoe Harcombe | Yoghurt with fat or carb meal? Yoghurt with fat or carb meal? Q) Should I have natural yoghurt with a fat meal or a carb meal? A) The answer is that if you have a fat meal you can have any kind of natural yoghurt – even full fat Greek yoghurt if you like it (or crème fraiche or fromage frais). With a carb meal you can’t have fat so you would need to have (very) low fat natural yoghurt /crème fraiche/fromage frais. This is why you can have skimmed milk with cereal, as the milk is so low fat it is OK to have with the carb. Not mixing fats and carbs takes a bit of effort, but it is so worth it as this is the ‘rule’ that really impacts weight loss. It’s just sugar in a different form. It’s best to put effort into not needing to sweeten foods at all. A challenge to start with but you’ll soon get used to foods without sweeteners. My husband and I both had great results in phase 1. We extended phase 1 to 10 days as we had much to lose. I have lost 4kg and my husband lost 6kg. We started phase 2 a week ago and had since increase weight by 500/600g and stalled for one week. We had followed the diet very carefully and never snacked. Our meals usually consist of meat and salad since we are both meat lovers. Could we be eating too much meat? 1. Can I have skimmed milk with my porridge, only have skimmed milk and just a dash in tea can’t abide anything else to creamy for me. Having 2 boiled eggs chopped up with ham (from deli counter) for lunch. Planning fried chicken, can I have fried onions and red peppers, fried in olive oil? Going to mix it up with spices, on Dukan I would have added, low fat philly and low fat crime fraiche but I know that dairy is a no no in phase 1. Just wanted to check the olive oil. I’m currently on phase 2 and one of the snacks is NLY. Does it matter if this is low fat or full fat yoghurt? As I don’t intend to eat it with any of my meals but as a pre-workout snack, I thought it wouldn’t matter if I have full fat yoghurt (so much nicer than the low fat version). Is this correct? I only need to stick with low fat if I eat it with a carb meal? Hi Zoe – just completed Phase 1 6kg’s lost. Very pleased. Wanted to know if in Phase 2 Ryvita Crisp bread is ok. Understand with a carb meal so say with Humous and tomatoes. Thank you. I find that natural yogurt is too sour and am finding it really hard to get a taste for it. Ordinarily, I love fruit yogurt but know I can’t have it because it contains organic sugar – even the low fat or fat free stuff. Is there anything I can do to make the natural yogurt more agreeable, and keep it’s neutrality between fat and carb? 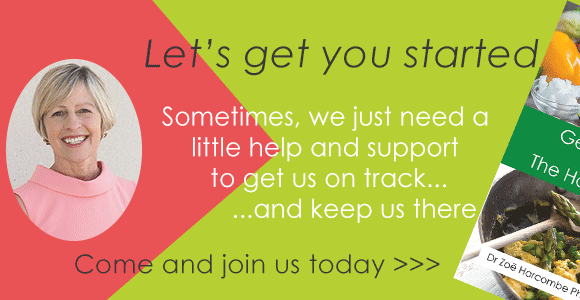 Hi Chris – we’ve set up a new forum where 1500 people are there ready to help you in seconds! You don’t have to wait for the comment to be moderated either. 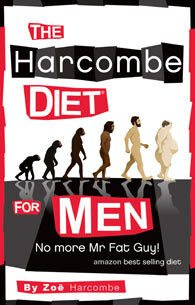 Come and join us at http://www.theharcombedietclub.com. I am on Phase 2 (second week) and I am not sure if I mixed a carb with a fat whilst following one of Zoe’s recipes – the cheese sauce one. I used semi-skimmed milk (1.6g of fat per 100g)and this is a fat meal! Woe is me! Will it matter, most of the ingredients are high fat ones i.e 100g of Cheddar cheese and an egg? Hi Debbie – you’re fine – don’t worry! Dairy is roughly 5% carb whether it is normal fat or low fat, so the carb content hardly changes. As you had a fat meal, it doesn’t matter how much fat you had! Can you have fat free fruit yoghurt with a carb meal eg shredded wheat? Can you have quark with a carb meal? Hi Madeleine – I doubt you will be able to find a fat free fruit yoghurt without sugar, added fructose and/or sweetener, so the answer is no unless you can find one. And, if you do, let us all know! You can have very low fat plain (nothing added) yoghurt with carb meals. Since there are so many different kinds of yoghurt, how do you tell fat yoghurt from low fat yoghurt? Is there a percentage as a guideline? What about milk? We drink milk containing 1,5% fat, since the 99% fatfree product is not really milk but white water. Is 1,5% fat or low fat milk? Hi Jackie – great question! The book tends to say “(very) low fat yoghurt/dairy” throughout, which is my way of saying both low fat or very low fat will keep enough fat away from carb meals. The lower the fat content the better in an ideal world, but the diet is also about practicality and if you can’t find a very low fat version or if you can’t stand the taste, then go for just low fat. (I agree with you that skimmed milk is ‘white water’ and love whole milk personally). Products tend to say boldly on the packaging if they are low fat or very low fat (the manufacturers see this as a selling point). But what does this mean?! In the USA, the Nutrition Labeling and Education Act was passed in 1990 and the FDA (Food & Drug Administration) then set out definitions of everything from low fat to low sodium. Fat free was defined as less than 0.5 grams of fat per serving. Low fat was defined as less than 3 grams of fat per serving. I can’t find evidence that this has been updated and, if it still stands, it leaves the US consumer vulnerable to the problem of food manufacturers picking the serving size to suit ‘making it low fat’ e.g. I could make a serving size of olive oil 2.9 grams and this would be 100% fat, but it would still be less than 3 grams of fat per serving! I prefer the UK version which is: low fat is defined as less than 3g of fat per 100g of product. I can’t find a parallel absolute number for very low fat in UK legislation, but I would imagine that manufacturers will tell you proudly if any product is “virtually fat free”. If you check the label, I would expect 100g of a product with this claim to have less than 1g of fat. To use your example of milk – a new variety of milk was introduced to the UK in 2009 – semi-semi-skimmed milk. Whole milk is only 3-4% fat, so milk is not a high fat food in any form. Semi-skimmed milk is approximately 1.5% fat and skimmed milk is less than 0.3% fat. Semi-Semi, comes somewhere between at 1% fat. (This new version is expected to become the second biggest seller, after semi-skimmed milk, within a year). Semi, semi-semi or skimmed will all be find with porridge, as an example of a good carb breakfast. For yoghurt – Greek yoghurt has c. 10g of fat per 100g (which is still not outrageous – given how lush it tastes); low fat has to follow the low fat rule (i.e. less than 3g in 100g) and very low fat or virtually fat free is just that – virtually no fat at all. Tesco.com is one of my favourite product research sites, as they have a pop up of the full nutrition label for each product. I’ve checked an own label and a branded very low fat/virtually fat free and they each have 0.1g of fat. The Tesco healthy living bio (live) yoghurt is one of my top tips for a very low fat live yoghurt. I struggle to believe that this is so low fat – it really does taste creamy (and it is often on offer – three 500g pots for £2).